Festus Keyamo, spokesman of the Muhammadu Buhari Campaign Organisation, says anyone who promises to restructure the country between six to 12 months is telling “the biggest lie”. Abubakar Atiku, presidential candidate of the Peoples Democratic Party (PDP), had said he would restructure in six months if elected president. Both Buhari and Abubakar recently unveiled their proposals for the next four years if either wins the presidential election in 2019. Referring to Abubakar’s claim, Keyamo said Buhari will not engage in deceit by promising what cannot be achieved. He said the time span given by Abubakar cannot work with the constitutional provisions for amendments that will allow restructuring. “In the campaign manual, the president has not said that he will object to a constitutional amendment. He has not engaged in a deceitful nature to say I want to restructure when he knows he cannot in six months,” Keyamo said. “Anybody that tells you that restructuring is something that should be done outside the amendment of the constitution is a lie. Restructuring is about devolution of powers, fiscal federalism. You cannot do that without amending the constitution. “We call it the restructuring farce by the opposition. It is a farce because there is a clear procedure in the constitution for amending the constitution. “So, anybody that comes and says I want to restructure Nigeria in 6 months, in one year, Nigerians should know that it is the biggest lie that they are telling them right now. 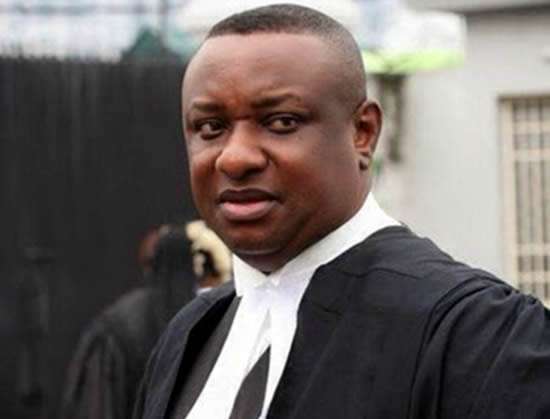 Asked how the Buhari administration plans to fund the projects listed to be completed in four years, Keyamo said: “They will find a way. It is important to have a plan on the table, expecting resources to come. “There must be a plan on the table so that when money comes, you know exactly where to plot it into.